Product prices and availability are accurate as of 2019-04-18 22:59:44 EDT and are subject to change. Any price and availability information displayed on http://www.amazon.com/ at the time of purchase will apply to the purchase of this product. Fits Whirlpool® Whispure model AP450 and AP510. Measures approximately 15 3/4" x 18 7/8" x 2". 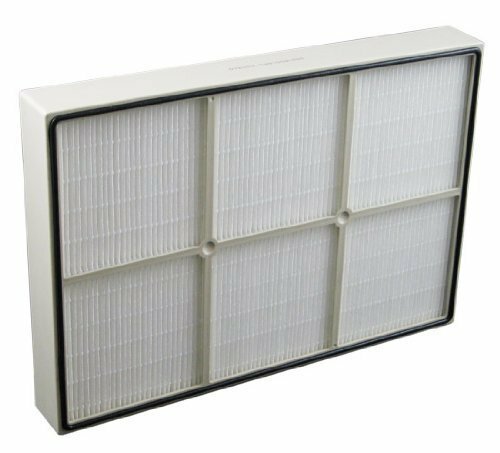 Captures 99.97% of airborne irritants as small as .3 microns from air passing through the filter. Helps effectively filter airborne irritants such as smoke, pollen, dust, mold spores, pet dander, and fabric fibers. For maximum filtration performance, replace filter every 12 months.